Some people see the falling leaves as an annoying nuisance, nothing more than unwanted yard work, a chore that takes up time on the weekend. But you see something different. As the world outside changes color from green to golden yellows, reds and oranges...you sit back and simply enjoy the wonder of the season. 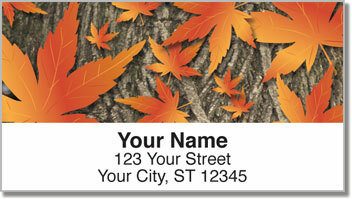 Leaf Collection Address Labels feature eye-catching illustrations of fall foliage from birch, maple and oak trees. 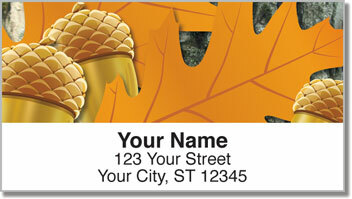 They'll bring the brilliance of autumn to every envelope you stick in the mail. 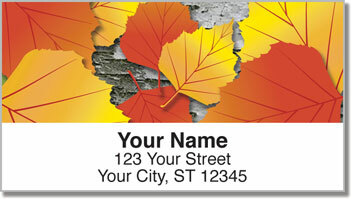 Plus, the self-adhesive labels available from CheckAdvantage come with a convenient self-adhesive backing. That means all you have to do is peel and place them on your letters and envelopes. 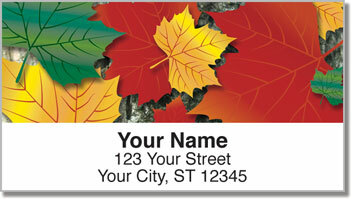 Get your own Leaf Collection Address Labels today! They're also available in matching checks.